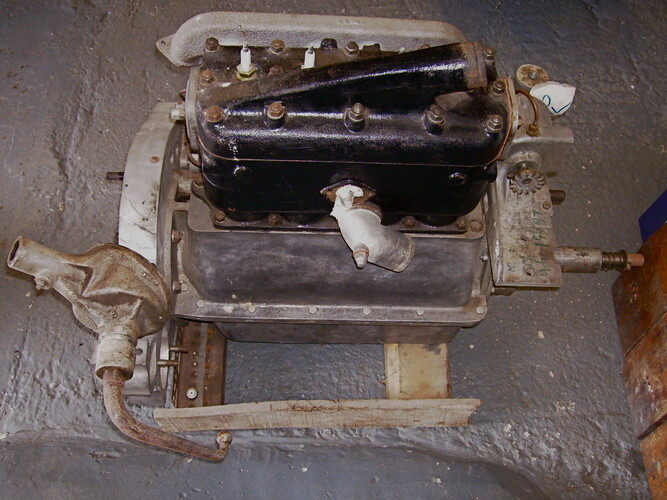 PF1212 arrived with us in boxes. 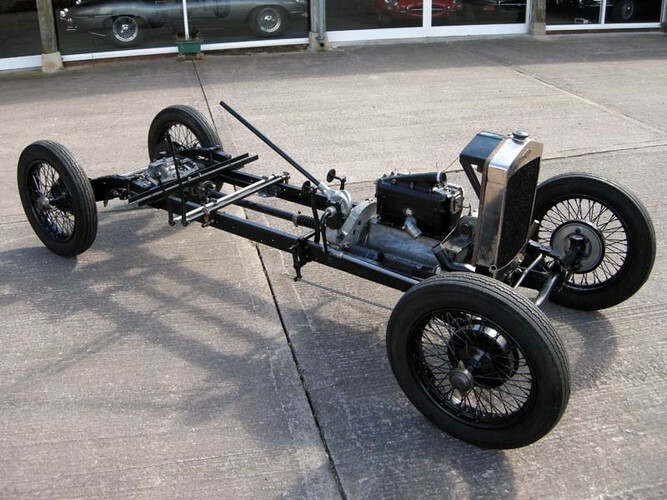 The car had had a modified body fitted in 1952 which had been lowered and the car had also been fitted with Bugatti brakes. 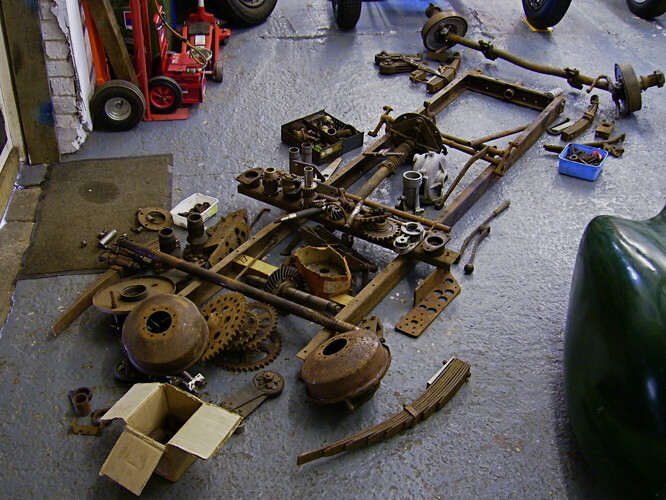 It was then heavily crashed. 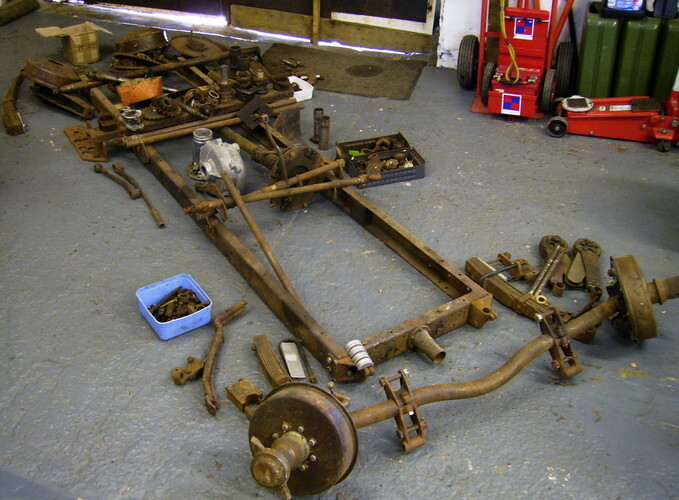 It is believed that, as a result of that crash, it was stripped and has remained so until delivered to us. 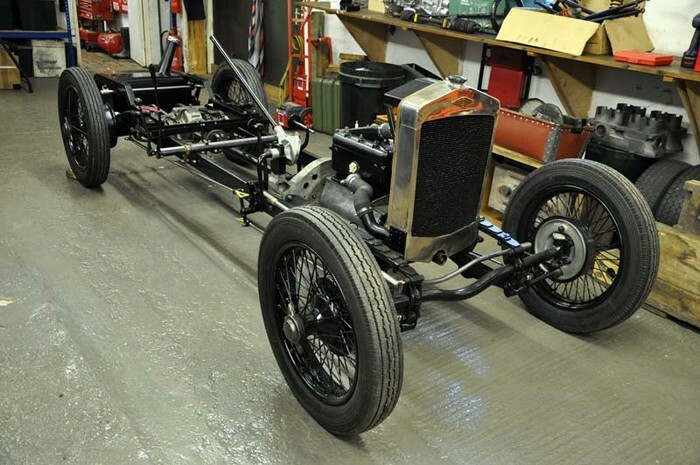 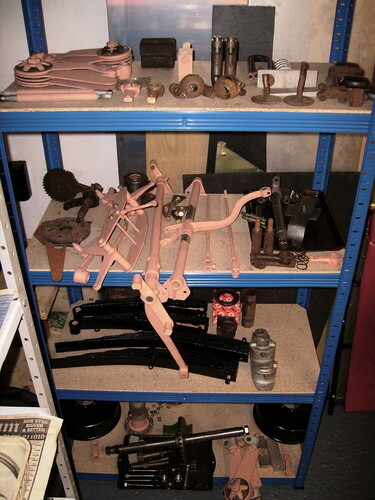 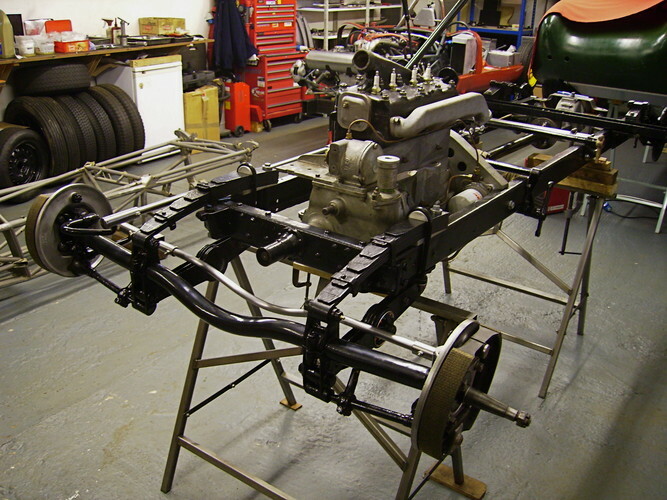 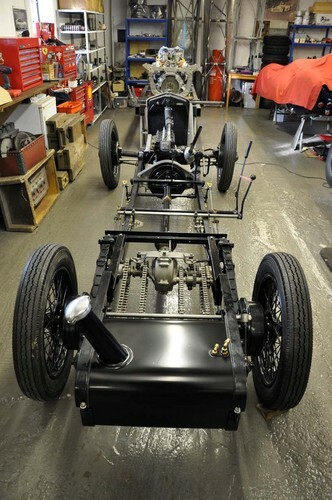 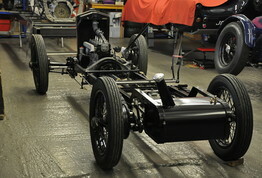 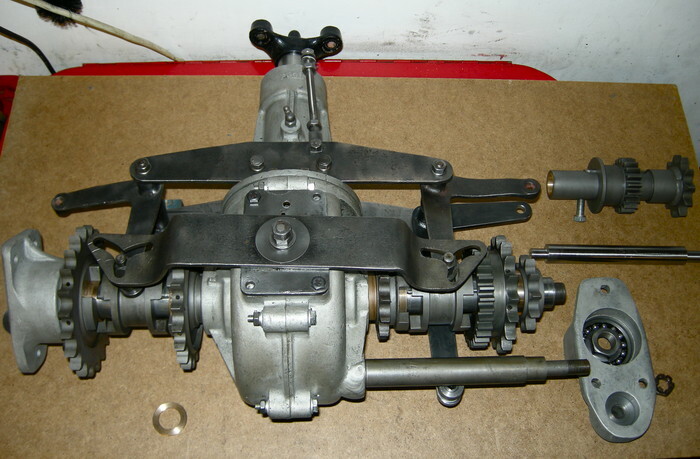 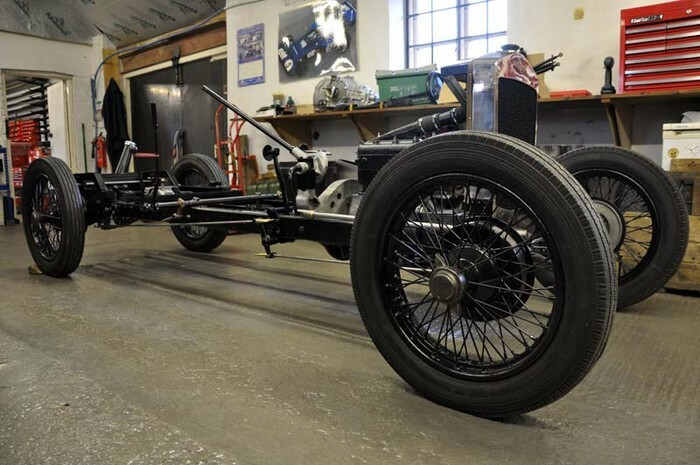 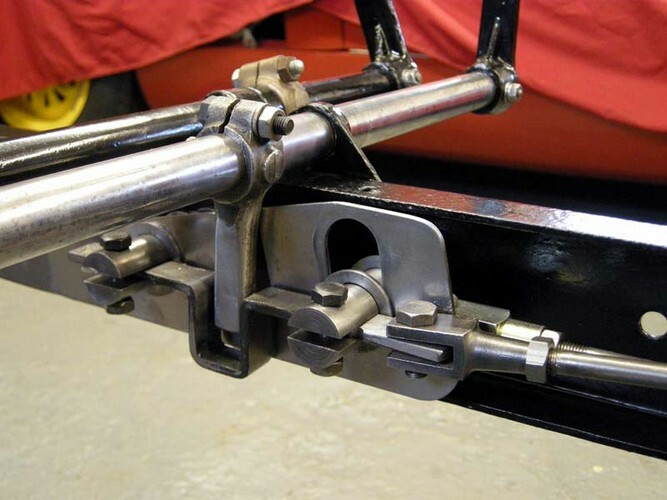 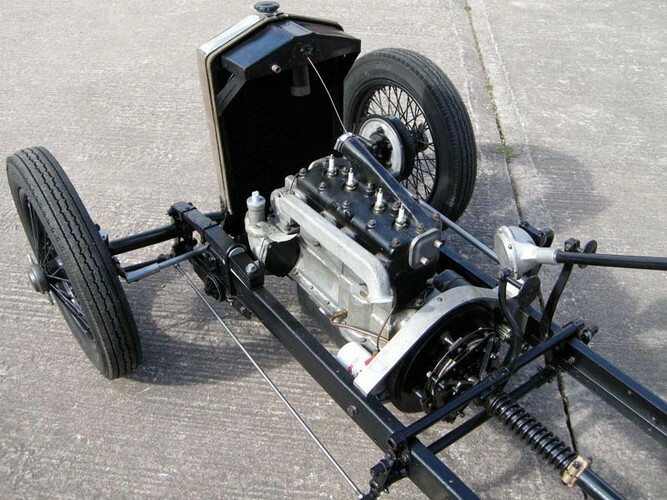 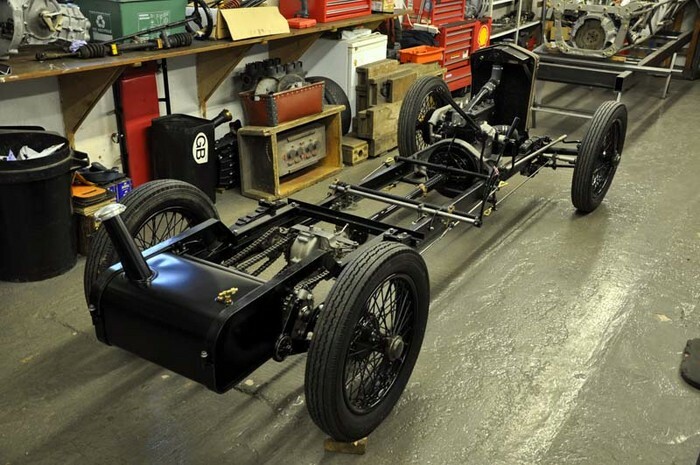 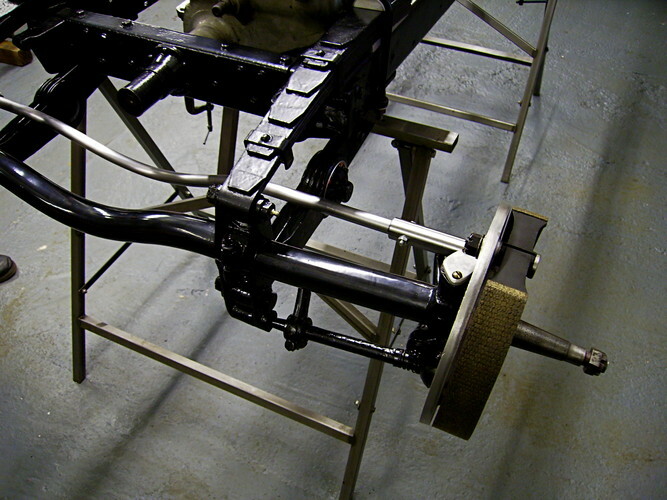 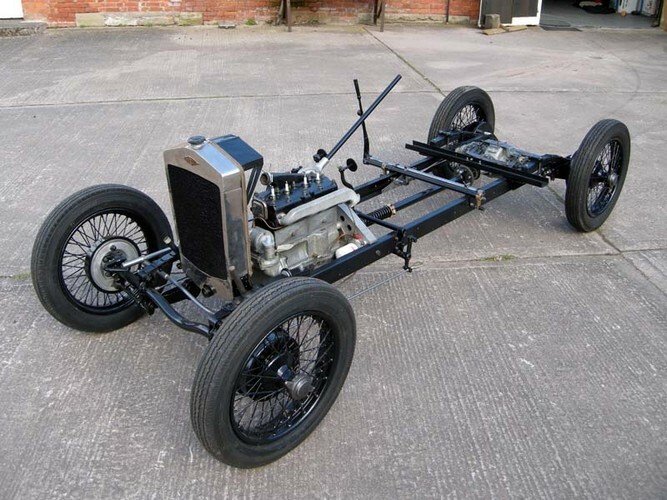 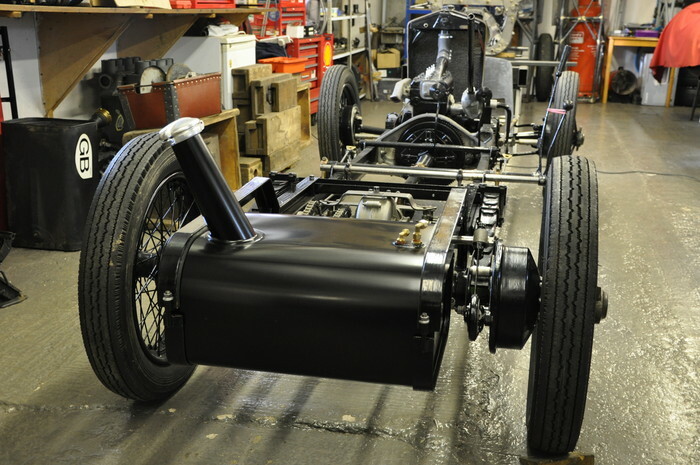 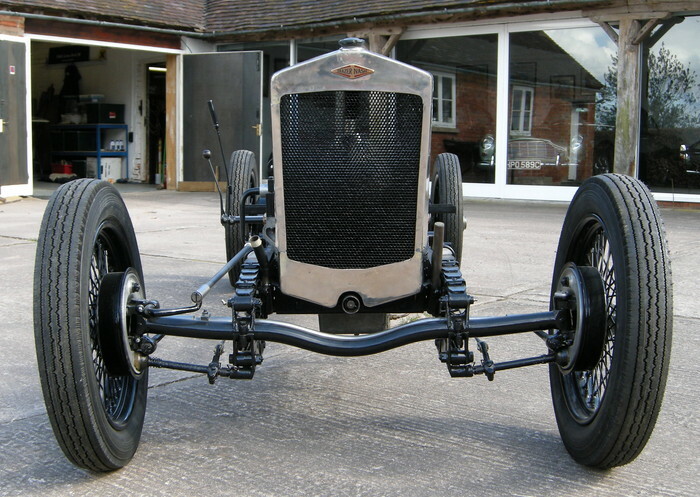 Whilst some of the required straightening had been carried out, we restored the chassis to a good useable condition and set about refurbishing as many of the original parts as possible to build the car into a rolling chassis. 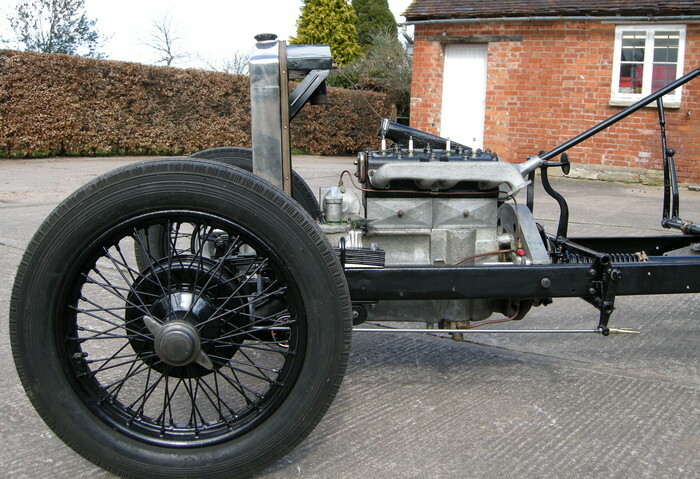 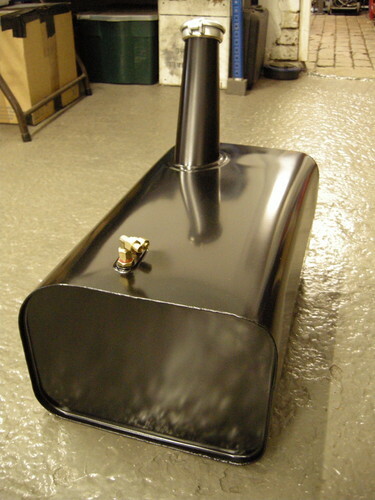 The car was supplied new with a Horstman type touring Anzani engine from approximately 1922. 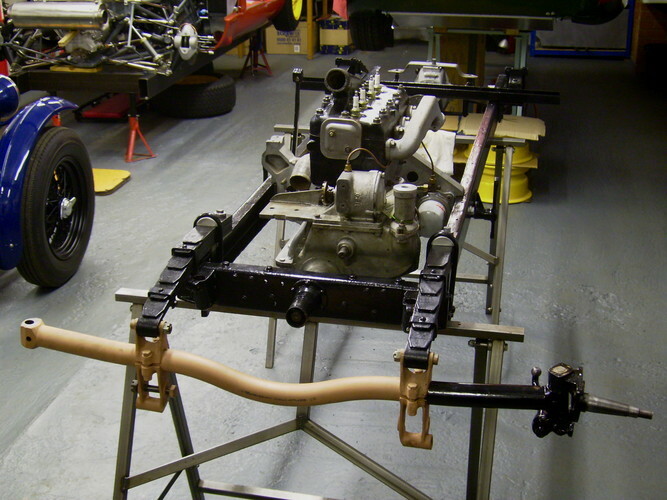 It should be noted that the standard Anzani engine as fitted to the Horstman car of 1923 developed a whole 30 bhp at 3200 rpm.